It was one joke after another from Martin, who had the audience in stitches. “It’s so nice to see Liam Neeson, who told me if I didn’t show up tonight he would track me down and kill me. 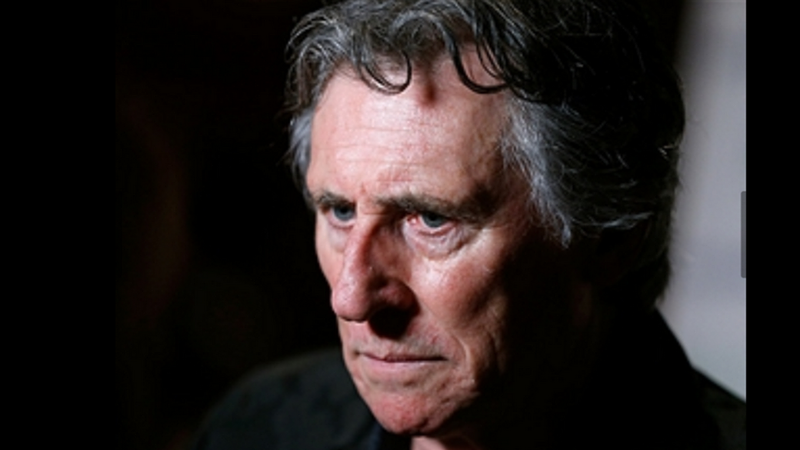 And my dear friend Gabriel Byrne, who’s not only an amazing actor but also my Tinder photo,” he said. Tinder photo!? LOL! Steve Martin and Gabriel were in the film A Simple Twist of Fate, in case you were trying to remember! 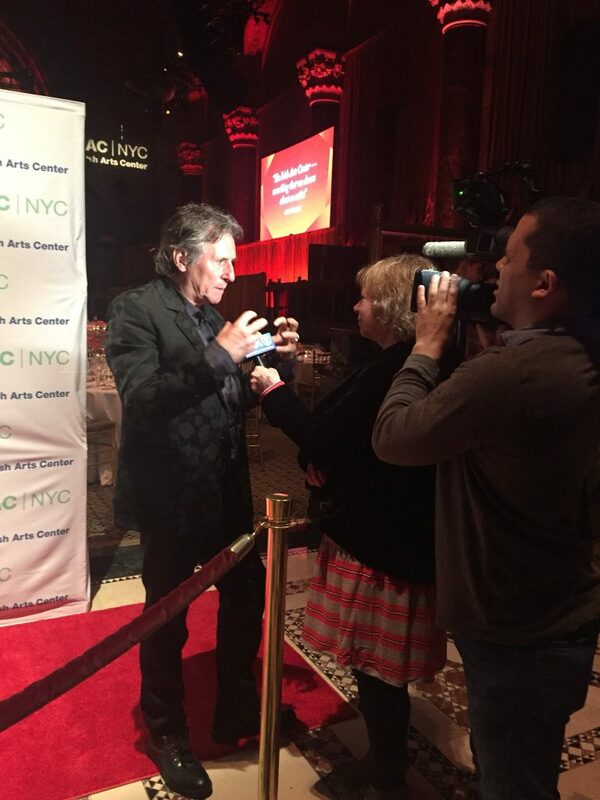 I am reasonably certain that these two pics are from the interview Gabriel provided just before the Gala began. There may be more in the future, too! 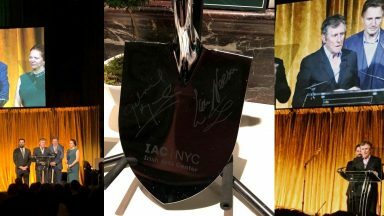 The IAC has raised $57.5 million of the $62 million needed for its new home. More nights like last Friday and they’ll easily surpass that goal. The Gala was a roaring success, as it always is, and apparently a good time was had by all. 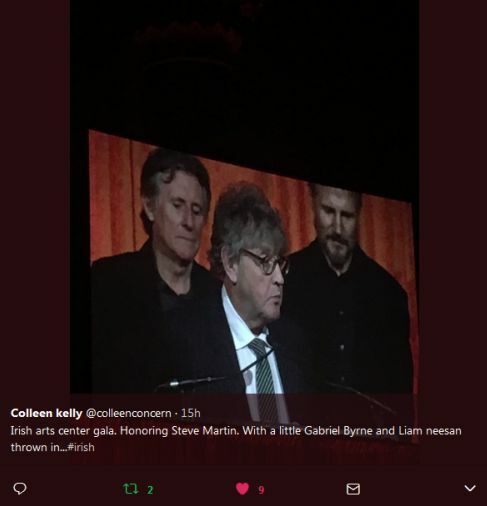 Honoree Steve Martin played the banjo, Senator George Mitchell, the patriot and statesman who helped broker the Good Friday agreement, was the guest speaker, and co-chairs Gabriel Byrne and Liam Neeson were on hand to lend their special brand of love and support for the Irish Arts Center. The Irish Arts Center is thriving! The new building is nearing completion, they have a lovely new website, and the annual Gala is just around the corner. 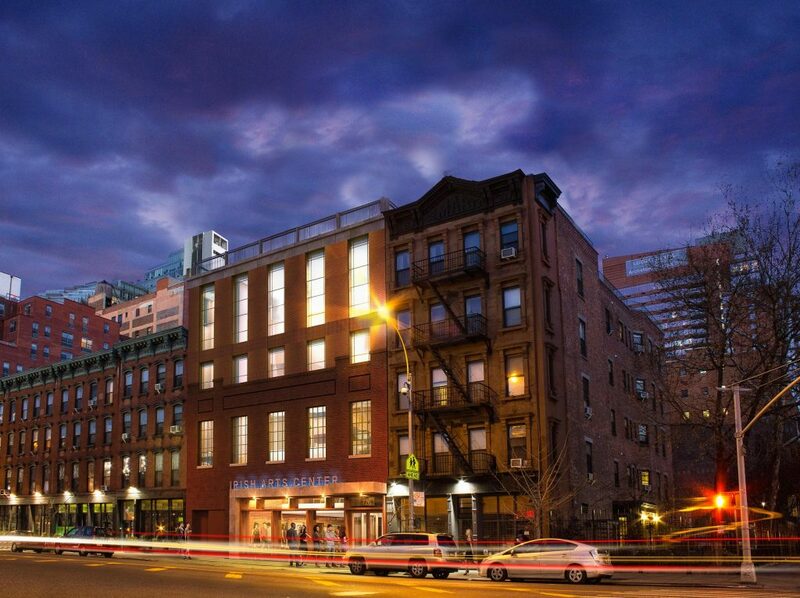 Things are booming for the IAC, that is certain! 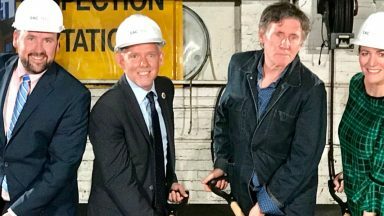 The New Irish Arts Center will be equipped with technology to project Irish Arts Center performances and education programs on the digital platform through podcasts, online classes, event streaming and other emerging forms of interactive learning. Visit the campaign website to learn more about this inspiring project, such a brilliant example of a community coming together to achieve greatness. The Irish Arts Center’s new website is more functional, very modern, and shiny! Lots of BIG pictures, plenty of information about upcoming events, and all you would expect of a great web re-design. You can join the IAC, sign up for the newsletter, and learn all about the organization and its activities. 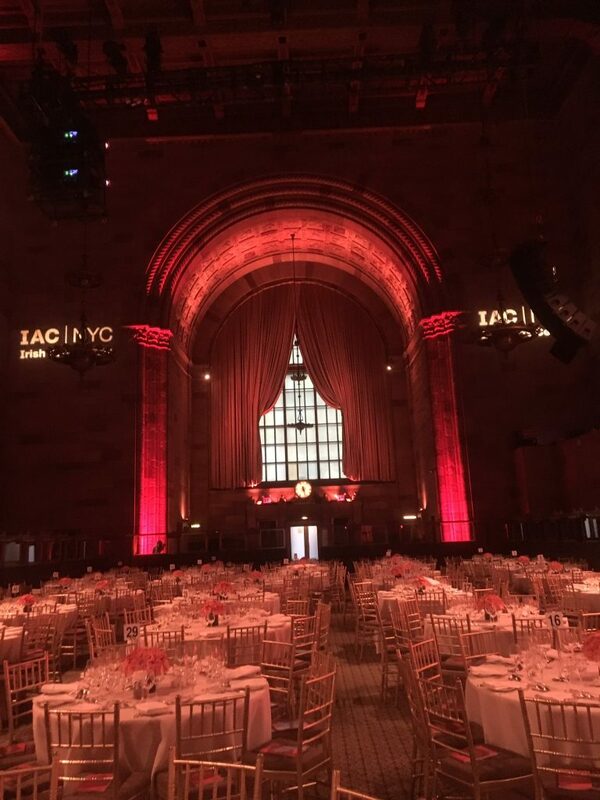 Very nicely done, IAC! Finally (and the reason you clicked on this article in the first place, am I right? 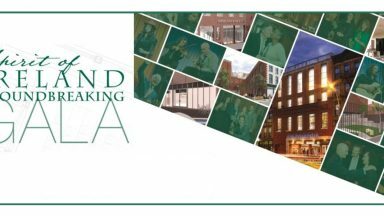 ), the annual Spirit of Ireland Gala is scheduled for Friday, October 13 (an unlucky date, but this is sure to be a lucky event!) 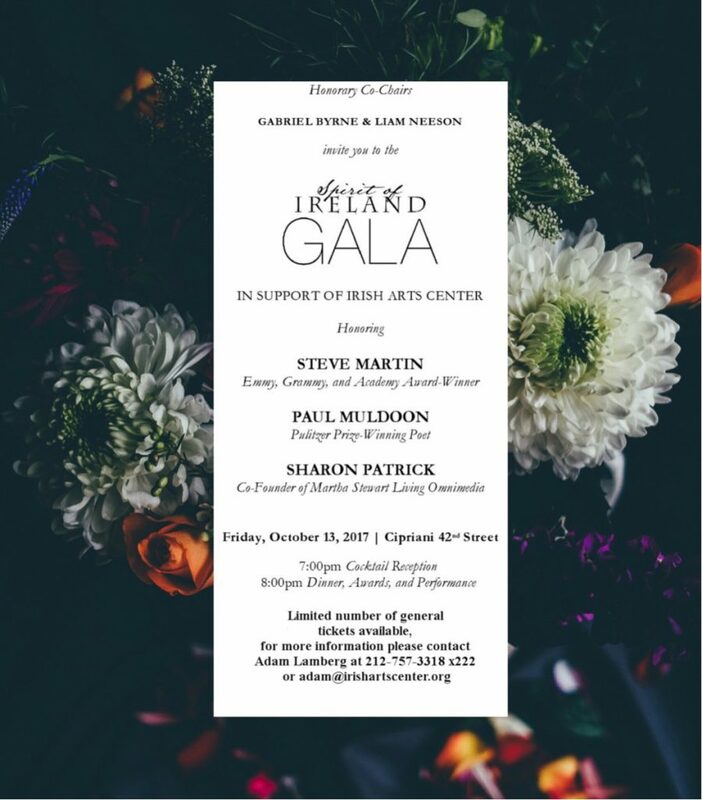 and will honor the beloved multihyphenate Steve Martin, poet and author Paul Muldoon, and Sharon Patrick, one of the powers behind the Martha Stewart brand. 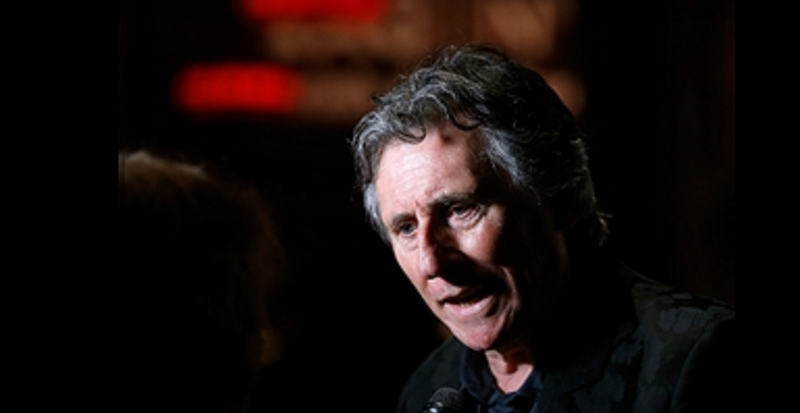 Honorary co-chairs Gabriel Byrne and Liam Neeson will be on hand to oversee the festivities and there will be pictures to be shared after the event. More information is at the website, including ticket purchases for those of you fortunate enough to be able to attend!